For a while I have wanted to turn my attention to podcasting. It is just tentative first steps, but I hope you will let me know what you think. It’s a bit louder in places, next time I will do better! 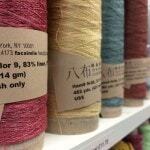 News: British Wool-along 2014 with Woolsack and the winner of the Stash Giveaway is drawn – Congrats to Julia Duffield! 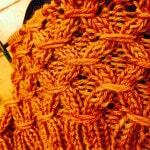 Casting on/Casting off: Current WIP is Tree Rings by Andrea Rangel for Wool People 6. FO: 2nd Hoxne by Karie Westermann. n.b. the picture of the slip is a much older one to the one included in the book and doesn’t show the detail as clearly, but you get the idea. I really enjoyed that. When I first saw the length of the podcast I thought it would be way too long to hold my attention for 45 minutes, but here I am right at the end with the washing still unloaded from the machine. And it made great listening while I was knitting. I particularly liked the conversational style and your obvious enthusiasm for the subject. Once you got into your stride it was like a friend chatting rather than a broadcaster presenting, which I personally think is the perfect tone for a podcast. Plus it was fun to hear your voice for a change, rather than simply reading your words on the screen. Incidentally, for me, louder is always best on sound files because on my netbook many sound pieces are actually too quiet for me to listen to, even at max volume. I particularly appreciated the book reviews. 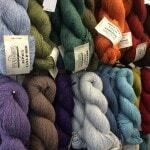 Will definitely put Shetland Textiles on my wish list. And I’m hoping to go to Iceland this year, so Vedis Jonnisdottir’s book sounds like good advance reading too. 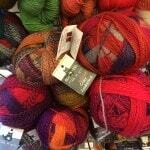 But mostly I just enjoyed hearing you enthuse about yarns and designs so effusively and talking about your own personal approach to ‘flawed’ knitting. I know exactly what you mean about the whole tensioning thing in Fair Isle but I’m slowly getting there (I think). Great experiment. I’d definitely listen to another of these. Thanks so much mazzy! I really appreciate your suggestions about time & sound (to be honest I wasn’t sure I’d muster 20 mins!) thank you for taking the time to listen. 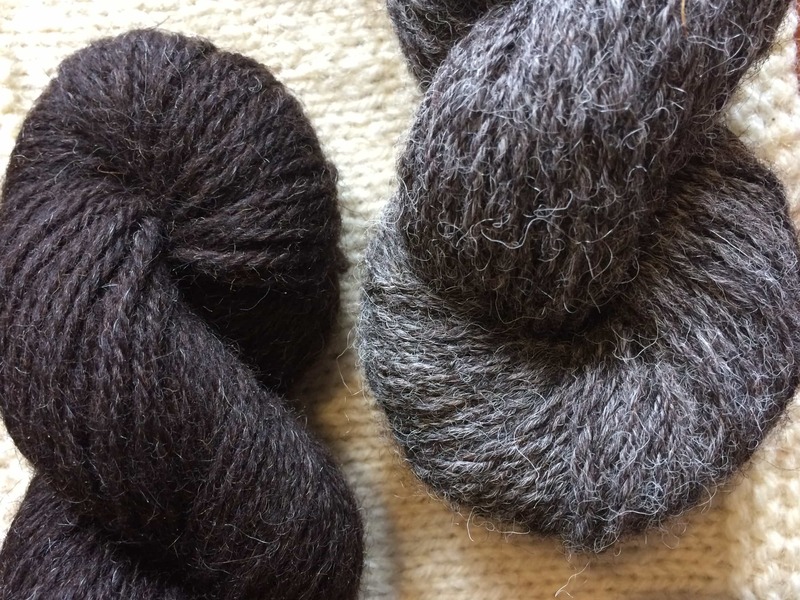 If there are things you think I should or should not be doing – or Shetland related things that may be interesting then do suggest! Hi Louise. I really enjoyed listening to your podcast, especially when my name was drawn to win the Stash Giveaway!! Thank you so much, I will be stalking the postie!! The book reviews were great. Like you, I like to look through the book before I buy it. Unfortunately, our library is a mobile van, and there’s not a big choice of knitting books. 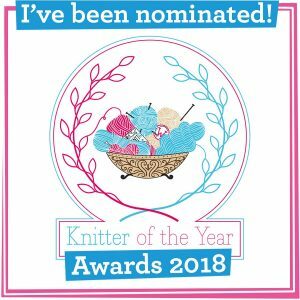 I look forward to more of your reviews – of books, LYS and yarns. My birthday and Christmas lists could be very long! I’ll be interested to hear how you get on with Fair Isle knitting. I have issues with uneven tension but I’m going to try again soon! It’s in the post today! Thank you. I am looking forward to squishing it all!!! Hi, Louise. Thanks for a wonderful podcast. Such a nice chatty style and lots of interesting items! It was fun to sit and knit and listen to you. 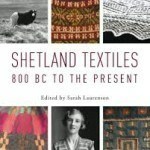 I share your opinion about the book “Shetland Textiles”. It is an incredibly beautiful book and filled with information. At first I tried reading it all the way through, but now I just pick it up and read a section at random. I laughed at you casting on another Hoxne right away. I am a very slow knitter, and I just finished my first Ronaes, but I already want to do another. I really enjoyed the podcast, and I’m looking forward to the next one. Haha! I am a determined little thing. I like to really try & do the best I can & if I don’t do it first time I will cast on again. 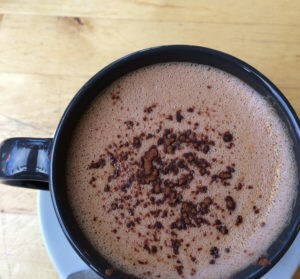 Tucked up toasty by the woodstove here in northern Maine, where the weather has been less than desirable, and was so happy to have this blog come alive with an audio narrative! I thoroughly enjoyed this episode and will look forward to more. Happy New Year to you and yours. Thanks Sarah!! I will take a look. 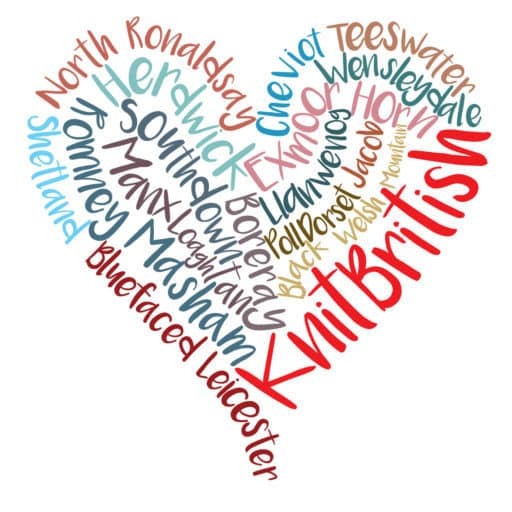 It is really fun & satisfying to work with local fibre & support great producers & sellers! Hi Louise,I enjoyed listening to your podcast and look forward hearing more from you! I’m attempting Fair Isle for the first time, and trying to master continental knitting at the same time! It would be good to hear how you get on! Funnily enough, just looking into a local class! Finally found the time this week to listen. Congratulations on your first successful podcast and how lovely to hear your voice after reading your blog all year. 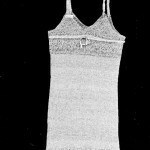 I liked the sound effects of sea, birds and sheep between segments and that Shetland Textile book sounds wonderful. I’m putting it on the list to add to my library. Looking forward to the next one! Aw, thanks to everyone for their lovely comments. I had heaps of fun doing it & have a few ideas for the next one! I’ve finally found time to listen. It was a bit dicey getting used to the British English, but once I settled into the rhythm, I very much enjoyed the podcast and look forward to more. I do wish I were local so I might find all the lovely stores you visit and report on. Thanks for doing this podcast. I admire you for taking the time for the enjoyment of others. 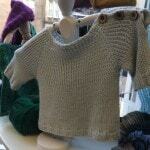 Hi Louise, I found your lovely blog post about joke sweaters via a link from Donna Smith Designs Facebook page. Really enjoying the podcast, hope to hear more. Love the concept for your blog title…Julia. 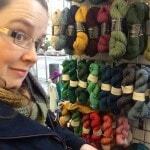 Hi Louise, I found your lovely blog post about yoke sweaters via a link from Donna Smith Designs Facebook page. Really enjoying the podcast, hope to hear more. Love the concept for your blog title…Julia. Morning Julia, nice to meet you! Great podcast, and a terrific start! I heard the shout out on the Caithness Collective podcast and if Louise thinks it’s good, I want to have a listen, too. Will you include a segment sometimes about Shetland? That would be wonderful, too. Aw, thank you! Yes, Louise is a good cheer leader! Yes as time goes on and I develop a wee format I hope to have several regular sections. Hello – Well done on a very enjoyable first podcast. I love the fact that you live in the Shetlands too – I live in Western Australia where this week the temperatures are going to climb again into the high 30oC’s – so listening to the Shetland gales and weather is a treat! Keep on keeping on….